All Around This World may be a unique world musics and cultures program for little children and their families, but it didn’t just appear out of thin air. All Around This World founder Jay Sand built the curriculum on the shoulders of centuries of inspiring research about young children and how they develop psychologically, educationally, culturally and musically. — All Around This World is excited about preparing tiny children for programs for older kids that translate musical aptitude to music achievement. All Around This World’s parent-child program for the tiniest children provides the kids with their first introduction to rhythms and melodies, inspiring a lifetime love of music. Jay and AATW are honored to be doing the work of preparing even the youngest children for a lifelong of music appreciation and achievement. There are a number of wonderful approaches to early-childhood music education in use with preschool children and in the lower elementary grades, and Jay created All Around This World while drawing inspiration from many of them. All Around This World is also a big proponent of another popular method of early childhood musical instruction: Orff-Schulwerk. Based upon the work of German composer Carl Orff, the Orff-Schulwerk approach to music education, in the words of the American Orff-Schulwerk Association, “is based on things children like to do: sing, chant rhymes, clap, dance, and keep a beat on anything near at hand.” Like All Around This World classes, Orff-Schulwerk programs engage children in group music-making, putting instruments such as xylophones and glockenspiels into their hands and emphasizing the joy of making music as a first step to technical music instruction. Kids in All Around This World’s parent/child classes are most often younger than children who have an opportunity to learn with an Orff-Schulwerk teacher in their elementary school, but when they get there they’ll be treading in familiar territory. Like music educator Shin’ichi Suzuki, All Around This World is not just interested in helping children develop a lifelong love of music, but believe that children who are in what Suzuki called the “right environment” for learning music will develop a strong character in the process of their musical development. Suzuki also deeply believed in the many benefits of parental involvement in a child’s musical, and personal development. All Around This World also greatly admires the work of Swiss composer, musician and educator Émile Jaques-Dalcroze who developed an approach to music instruction that teaches children about music by wedding it with movement. The Dalcroze approach consists of three coreÂ elements–“eurhythmics” (the study of music through movement), “Solfège” (a technique used to develop an understanding of tonality, scale and pitch), and improvisation using movement, voice and the playing of instruments. All Around This World’s approach to the earliest childhood music instruction draws particular inspiration from the research and implementation by Edwin Gordon, whose exhaustive and exhilarating studies of young children and the way they transform their natural musical aptitude into musical achievement indicate that exposure to the fundamentals of music from infancy sets a child on the path to emerging from the earliest stages of musical “babble.” Gordon’s classes for preschool and young school-aged children introduce them to tonal and rhythmic patterns in methodical sequences, building one lesson upon the next to provide kids with a fundamentally sound foundation upon which to rest their musical explorations. All Around This World classes expose the tiniest children to music in a way that inspires appreciation and encourages them to be ready to embrace comprehensive music education programs like Gordon’s as they grow. Want to feed a tiny child’s brain? Feed it music! We all see the way children light up when they sing, dance or make music. Parents certainly appreciate that, and they (we!) also sometimes want to know how being musical now might affect our children in the long term, as do legions of researchers in fields like neuroscience, cognitive psychology, developmental psychology and early childhood education who have delved deep into the many ways an early introduction to music affects little ones both physiologically and emotionally. In his book “This is Your Brain on Music,” neuroscientist and accomplished musician Daniel Levitin explores and the brain’s myriad relationships to music, mapping the many regions of the brain that come alive when the music starts. 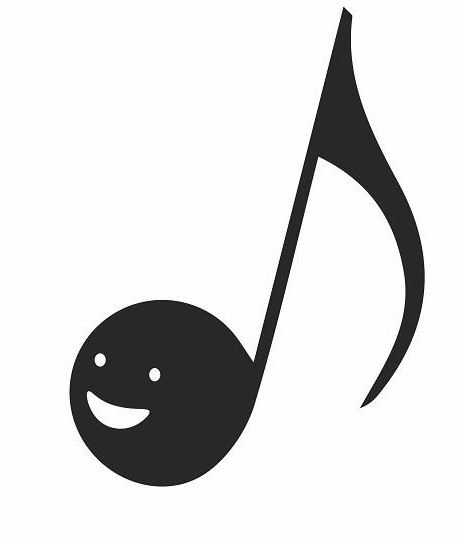 Levitin notes this brain activity in relation to music is so instinctive and pervasive that children surely appear to start learning the fundamental melodic and rhythmic structure of music as early in their lives as they start learning the fundamental bases of spoken language. An increasing number of studies beyond Levitin’s have shown that music doesn’t just tickle one part of the human brain, but instead–much like language–stimulates many different regions in many amazing ways. Scientists have demonstrated that music connects deeply with the regions of the brain that relate to memory and emotion and that music can even make old folks like us feel younger. They’ve also used the scientific method to demonstrate beyond a shadow of methodical doubt that music can make us happy. Who knew?! Does this mean learning music will make little kids smart? SURE! Or, maybe not. Scientists have done impressive work, and their research says good things, but there are so many factors at play in each child’s development, and no matter how thoroughly a researcher controls for outside differences between children who learn music and those who don’t, there are so many things we’ll never really, fully know. Still, what we do see is that studies upon studies have indicated the long-term positive effects of early music instruction on a child’s cognitive development and academic achievement. With all that said about the bright future children will have just because parents have decided to be musical with them, All Around This World music class is about THE PRESENT. All Around This World classes are fun! Parents and children deserve to have a good time together now. When little Emma grows up to win the Nobel Prize for simultaneously curing cancer and developing an algorithm that accurately predicting which Hollywood D-listers will win Dancing With the Stars she’ll have more than music class to thank. Our wide and wonderful world is getting smaller by the second. Parents have no doubt already realized their children are globally connected—nowadays they come out of the womb already wired to the internet. Our tiny kids will not only grow up having instant access to most every piece of accumulated knowledge literally in the palm of the hand, but they will also experience fewer and fewer barriers to connecting with people who live in other parts of the globe. All Around This World believes that introducing even the youngest children to the extraordinary riches of creative expression that those people offer–the true “wealth of nations”–will prepare them for what will be an increasingly international and interdependent future. All Around This World and I are so excited about being able to provide children with their first introduction to global cultures, and to give them a first nudge along the path toward becoming global citizens. AATW classes for the tiniest kids are all about engagement–music class is a multi-sensory celebration of music and the world. Kids in AATW’s “big kids’ classes” benefit from what educational theorist David Kolb, drawing upon the pioneering education work of John Dewey and childhood development research of Jean Piaget, termed “experiential learning.” In “experiential learning,” learners don’t just sit back and intellectualize a topic of interest, but dive deep into experiencing that piece of knowledge and then place that experience into the context of academic learning. AATW kids don’t just read about music from different countries and cultures–they sing songs, do dances, celebrate festivals and generally leap headfirst into the culture at hand as a first step toward developing an appreciation for the people who created that culture. All Around This World is also a big fan of the project approach to learning as pioneered by early childhood education researchers like Lilian Katz. Kids in “project approach” classrooms engage in projects in which they work together to actively explore a topic that interests them, often with the goal of finding answers to a question posed or developing solutions to a problem. They not only learn about the topic at hand, but become more confident lifelong learners as they develop their own way to overcome roadblocks they encounter along the way. All Around This World believes that children–and grown-ups too, by the way!–learn best by leaping headfirst into in a topic that interests them and actually experiencing it in all its glory rather than keeping it at arms’ length. AATW classes to be participatory, inspiring, enlivening and FUN.